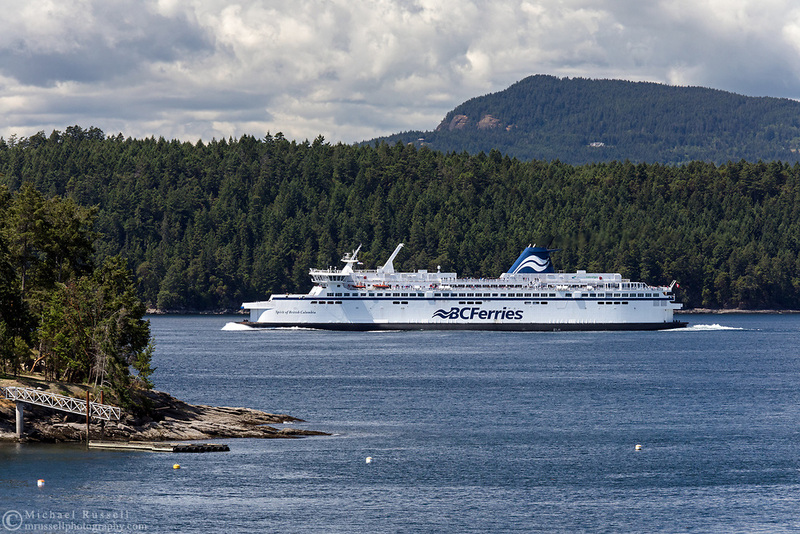 The BC Ferries vessel Spirit of British Columbia (built in 1993) navigates Trincomali Channel on the way to Victoria (Swartz Bay) from Tsawwassen. Photographed from Village Bay on Mayne Island, British Columbia, Canada. Island in the background is Prevost Island (front) and Salt Spring Island (Mount Tuam) behind.